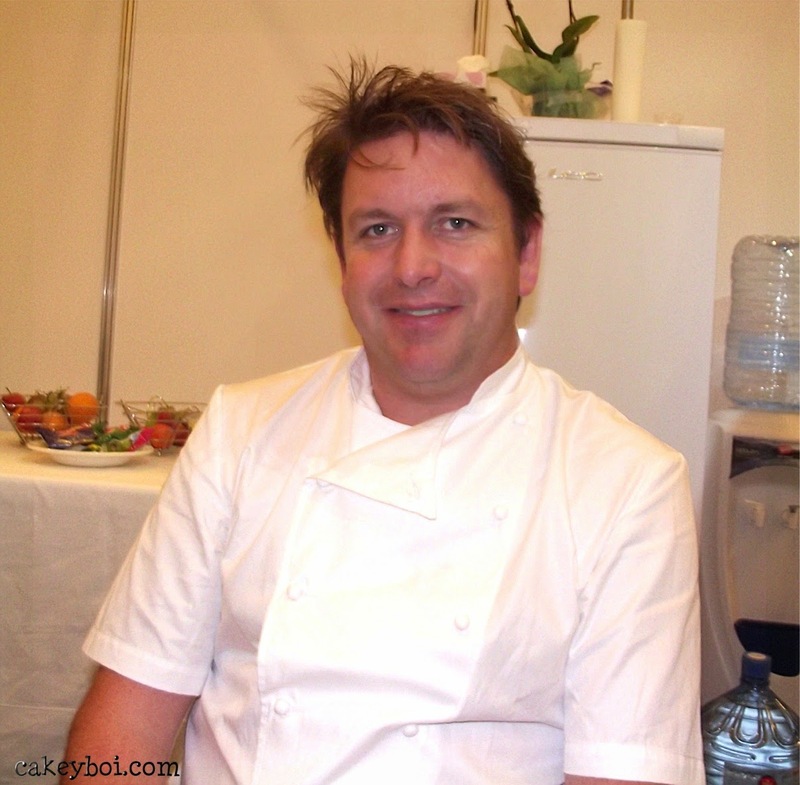 Cakeyboi: BBC Good Food Show Scotland 2014 – Big Announcement, Discount Code and Ticket Giveaway! 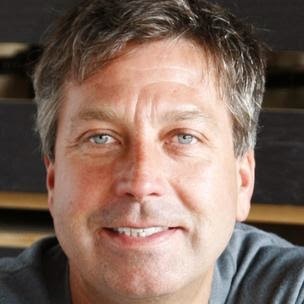 BBC Good Food Show Scotland 2014 – Big Announcement, Discount Code and Ticket Giveaway! I am very excited that the BBC Good Food Show is coming back to Scotland – between 17 and 19 October at the SECC. You might remember that I have visited the show for the past couple of years. Year one of Cakeyboi, I popped along and sampled lots of tasty treats, watched Paul and Mary on the Supertheatre stage and spent lots of cash on great food and gadgets. Then last year, I was lucky to be chosen to be one of a group of official bloggers for the show. This meant I got to meet James Martin and interviewed him (which you can read here) right before he got up on stage and gave the audience a cooking demonstration. This year, however, will be a different experience for me as I am actually going to be interviewed about my blog on the Interview Stage. 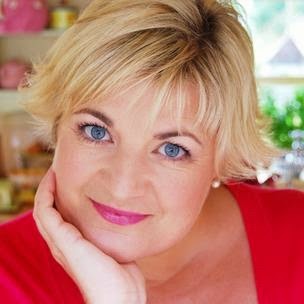 TV chef Lotte Duncan will be interviewing me on the Saturday afternoon (18th) at 2pm. I’m a bit astounded, excited and a tad nervous all rolled up into one! 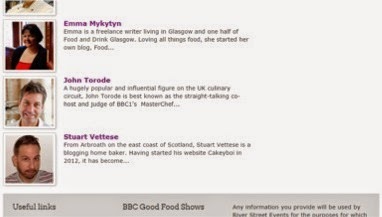 I feature on the Chefs and Celebs page of the official Good Food Show Scotland website alongside Paul, Mary, et al. Also featuring over the weekend are a couple of other bloggers – Emma from Food and Drink Glasgow and Christina Conte of Christina’s Cucina. 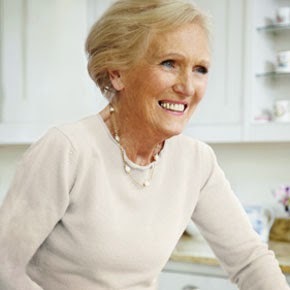 Appearing at the show this year on the Supertheatre stage are Mary Berry and Paul Hollywood, on both Friday and Saturday and John Torode on the Saturday also. On Sunday James Martin and Tom Kitchin take over the Supertheatre. Have a look at the official website for all the details. So, if you are going along to the show on Saturday 18th, I will see you there. And if you are thinking of going and haven’t got your tickets yet, I am pleased to announce an exclusive discount code for Cakeyboi readers. Simply by quoting the code: BL20 either when you call or book online – you can get 15% off the ticket price. Lastly, I have a flash-giveaway of 3 pairs of tickets to the show. These tickets cannot be used on Saturday or for the Supertheatre, but are valid for admission Friday and Sunday. If you would like to be in with a chance of winning a pair of tickets simply leave a comment on this post, including how I can contact you to get the tickets sent out (don't leave addresses or phone numbers!). It’s a quick one – so get your comment on before midday on Friday 10th October. Good Luck! Love the food show, esp love the try before you buy lol :-). I went to the London show a while back and loved it.Must attend next time it is down south! I love BBC Good Food is one of my favorites and the recipes are fab! Well done Stuart that's fab news!! Stardom beckons! I hope you remember us all when you're famous! Whoop whoop! So excited for you!! Would love to go to the show and learn something new. Sounds like a fab show. Would love to go to this on Friday and take my husband for his birthday.